Mrs. Nellie C. Miller, 96, of DeWitt, Iowa, passed away Thursday, December 6, 2018, at Westwing Place, DeWitt. Mrs. Miller was born Nellie Christine Boatright on December 28, 1921, to Roscoe and Caroline (Blacksher) Boatright in Tecumseh, Missouri. She was the middle child of nine, all born on the farm. Nellie married Donald L. Miller on October 21, 1944, in Springfield, Missouri. The couple settled in DeWitt, where Nellie was a homemaker and raised 3 children. Don preceded her in death, 14 years ago to the day, on December 6, 2004. 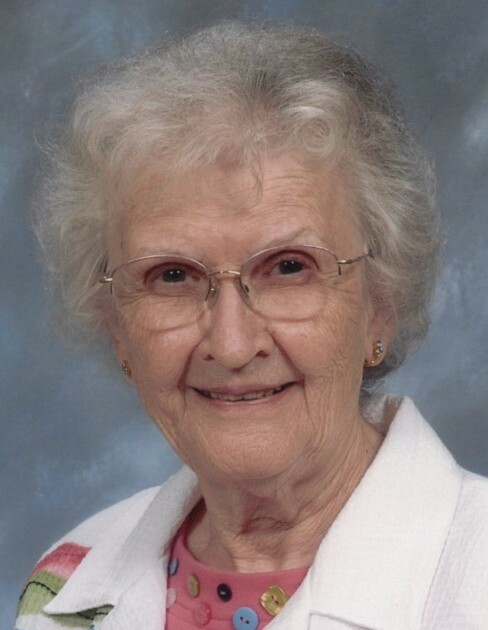 Nellie was a longtime and active member of the United Methodist Church and the Masonic Eastern Star, both in DeWitt. Nellie was creative, talented with crafts, baking, and painting ceramics. She enjoyed playing in bridge card clubs. She is survived by her children, Jack (Diane) Miller of Bettendorf, Lana Lichtenstein of Ankeny, and Craig (Lori) Miller of Eldridge; 6 grandchildren and 8 great-grandchildren; siblings, Ann Venable and Ross (Bertye) Boatright both of Kansas City, Missouri; a sister-in-law, Bonnie Boatright; nieces and nephews. In addition to her husband, Don, she was preceded in death by a grandson, Kory Miller, a son-in-law, Dean Lichtenstein, and siblings, Alfred, Allie, Ruth, Alvin, Irene, and Robert. Visitation will be from 9:00 until 10:15 a.m. Monday, December 10, 2018, at the United Methodist Church, DeWitt, with the Rev. Tom Boomershine officiating. A Service will follow at 10:30 a.m. in the church. Burial will be at Elmwood Cemetery, DeWitt. In lieu of flowers, memorials are suggested to the United Methodist Church, DeWitt.